This is the legend of two terrible sea monsters. This is the legend of two terrible sea monsters, Scilla and Cariddi, who lived in the Straits of Messina, the narrow strip of water, 3km long, which separates Sicily from the rest of Italy. Scilla was a beautiful nymph whom Glauco was in love with. Glauco turned to the magician Circe to win over his love. But the jealous and envious magician, who was rejected by Glauco, turned Scilla into a monster with two heads and twelve feet who hid in a cave in the straits of Messina. When sailors came near her she would eat them. 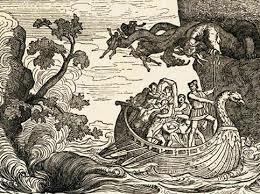 Glauco was turned into a monster called Cariddi who caused whirlwinds three times a day, so powerful as to sink passing ships. Ulisse, according to Homerâs Odyssey, preferred to pass along the side of Scilla, but his boat was still lured by Cariddi, and he only survived thanks to his own initiative. 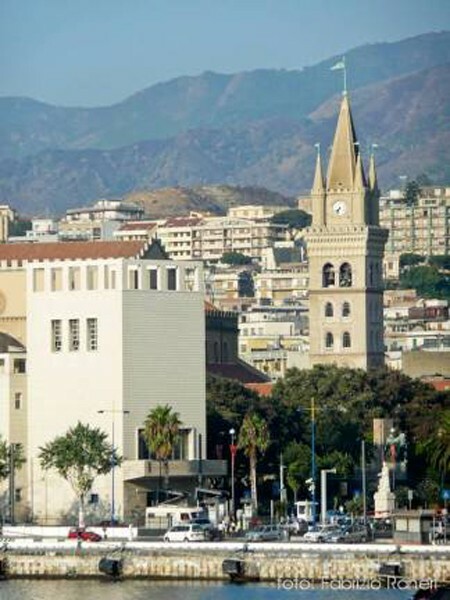 In reality, between Scilla and Cariddi, along the Straits of Messina, the geological structure of the sea bottom and the sea currents sometimes cause small whirlpools which at one time would have represented danger for small boats. Today the Straits are used by huge ships which connect Sicily to Calabria, but also by âfelucheâ, old boats still used to catch swordfish, made up of a long platform just inches from the water, with a tall spar from which to observe the fish. Particularly appealing to tourists is the view of the sunset over the Straits, and the wonderful sight of Mount Peloritani, with its green forests reaching up from the sea to an altitude of almost 1,000 metres.